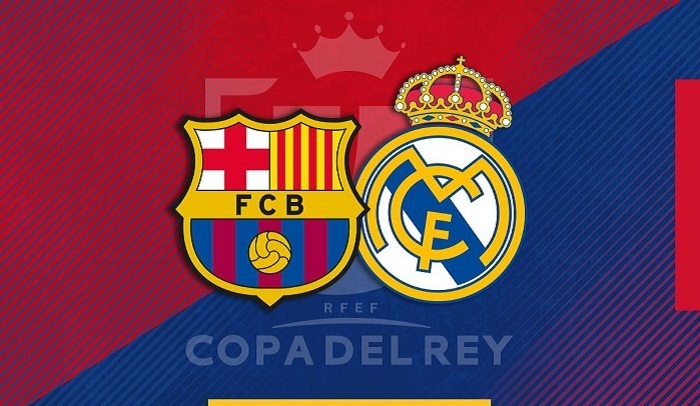 Barcelona and Real Madrid were paired together in Friday's Copa del Rey semi-final draw, with Real Betis meeting Valencia in the other last-four tie. The draw means Spain's two biggest clubs will play each other three times in the space of four weeks, with Madrid hosting Barca in La Liga on March 2. Thirty-times winners Barcelona, who have won the last four editions of the competition, will host Real in the first leg on Feb. 6, with the second leg coming on Feb. 27 at the Santiago Bernabeu.